My name is Daniel (Danny) Dopler. I picked up a Nikon D90 in January of 2011 and started shooting images of places I was going for work, sticking mostly to still life and landscapes originally. 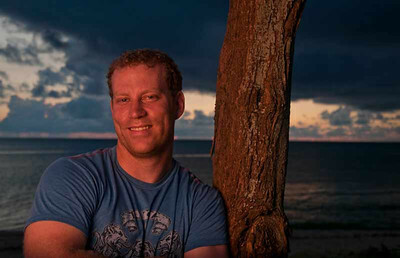 This is actually my first attempt at off camera flash self-portraiture in September of 2011. I have gotten to travel to some awesome places around the globe and wanted to use Photography to capture that and increasingly more for portraiture. This little guy wasn't happy that I would not give him my Sunglasses or anymore yogurt. This was my first big trip with my camera and it was to Thailand! 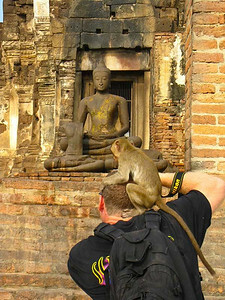 In Lop Buri there are some temple ruins in the center of the city that migratory monkey's happen to be inhabiting. Seeing them take over a temple site was pretty awesome and being able to go up and play with them was even more wild. It is times like that, that I am glad I bought my camera and started recording the amazing places I got to go. 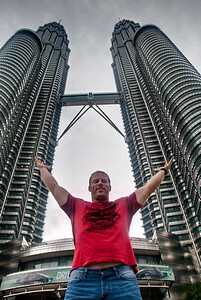 Just out front of the Petronas Towers in Kuala Lumpur, Malaysia. 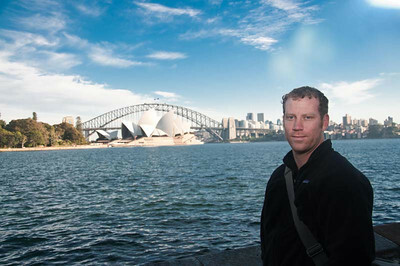 I look to create images and capture moments that will inspire those who view them to get out and see the world. My portraiture is still being refined, but I enjoy a contemporary style that infuses fashion, beauty, life style and glamour styles of photography.